If you notice your hair falling out in the shower, don’t panic. Most people shed about 50-100 hairs a day. This usually won’t cause noticeable hair loss, because new hair is growing in at the same time. 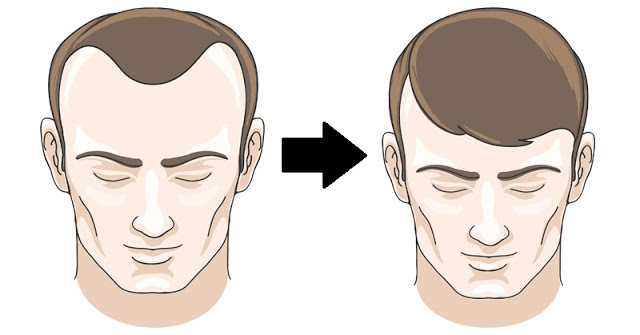 But if you’ve started to notice thinning areas or bald spots, it’s because the cycle of growth and shedding has been disrupted. Family History – The most common cause of hair loss is a hereditary condition that usually occurs gradually and in predictable patterns, such as a receding hairline and bald spots in men, and thinning hair in women. Hormonal Changes – Hormonal changes and imbalances can cause temporary hair loss. This could be due to pregnancy, childbirth or the onset of menopause. Hormone levels are also affected by the thyroid gland, and thyroid problems may cause hair loss. Medical Conditions – Scalp infections and diseases that cause scarring can result in hair loss at the scarred areas. Medications – Hair loss can be caused by birth control, along with drugs that are used to treat cancer, arthritis, depression, heart problems and high blood pressure. Licorice root works to open the pores, soothe the scalp and help remove scalp irritations such as dandruff flakes. Licorice root can be used for dandruff, hair loss and baldness. Add 1 tablespoon of round licorice root to 1 cup of milk and 1/4 teaspoon of saffron. Mix thoroughly and apply the paste on bald patches before bed. Leave the solution on overnight, then wash your hair in the morning. Indian gooseberry, also known as amla, is rich in Vitamin C. A Vitamin C deficiency in the body can cause hair loss. The anti-inflammatory, antioxidant and exfoliating properties in Indian gooseberry can help maintain a healthy scalp and promote hair growth. Mix 1 tablespoon of Indian gooseberry and 1 tablespoon of lemon juice. Massage your scalp with the mixture, then cover your hair with a shower cap. Leave the solution on overnight, then shampoo your hair in the morning. Aloe Vera contains enzymes that directly promote hair growth, while its alkalizing properties can help bring the pH level of the scalp and hair to a healthier level. Regular use of Aloe Vera can relieve scalp itching and inflammation, and reduce dandruff. Apply Aloe Vera gel or juice to the scalp. Leave it on for a few hours, then wash it off with lukewarm water. Repeat the process 3-4 times a week. The Chinese hibiscus flower promotes hair growth, and it can also be used to thicken hair, get rid of dandruff, heal split ends and prevent premature graying. Add 10 dried Chinese hibiscus flowers to 2 cups of coconut oil. Heat the solution until it comes to a boil, then strain to collect the oil. Apply the oil to your hair before going to bed, put on a cap, then wash your hair in the morning. Fenugreek is highly effective for treating hair loss, thanks to the hormone antecedents it contains that enhance hair growth and help rebuild hair follicles. Fenugreek also contains proteins and nicotinic acid that stimulate hair growth. Soak 1 cup of fenugreek seeds in water overnight. In the morning, grind them into a paste. Apply the paste to your hair and cover it with a shower cap. Leave the solution on for about 40 minutes, then rinse your hair. Use this remedy every morning for 1 month. Beetroot juice contains protein, potassium and calcium, along with vitamins B and C, which are all essential nutrients for healthy hair growth. Add fresh beetroot juice to your daily diet, along with spinach juice, alfalfa juice, lettuce juice and carrot juice to keep your hair healthy. Flaxseeds are rich in Omega-3 fatty acids, which can help prevent further hair loss while encouraging healthy hair growth. Consume 1 tablespoon of freshly ground flaxseeds with a glass of water in the morning. You can also add flaxseeds to your salads, smoothies and soups! Coconut milk contains protein and essential fats that promote hair growth and prevent further hair loss. Make fresh coconut milk at home by adding a freshly grated coconut to a pan of water. Let it simmer for 5 minutes, then strain. Once cool, apply the milk onto the scalp and in your hair. Leave the solution on for about 20 minutes, then wash your hair with shampoo. Coconut oil has many amazing beauty uses, including as a hair mask that helps hydrate and strengthen your hair!